Keep them cosy this winter in this bear themed onesie! 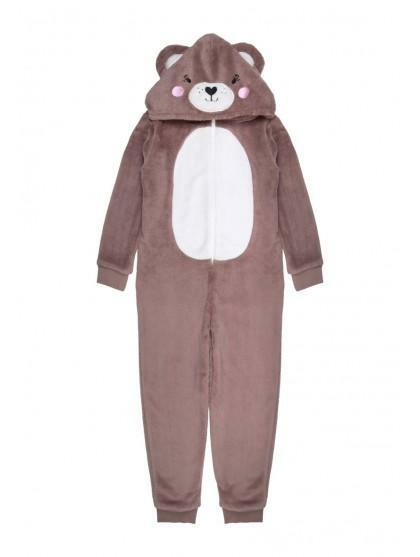 Featuring a cute bear face hood with stand up ears, cuffed arms and legs and a zip front- it's perfect for festive lounging! Item itself is good, but due to a picking error I was sent completely the wrong size and had to reorder at my own cost to get the right size. I bought two grandsons cosy onsie,s for Christmas.